The new 30 Pilothouse version of the Catalina will turn heads. 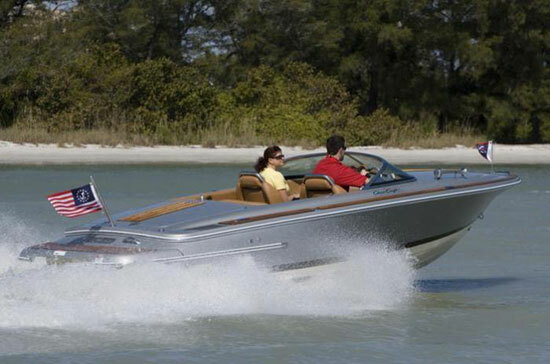 Chris-Craft certainly isn’t a new kid on the block, especially when it comes to building great center console boats. 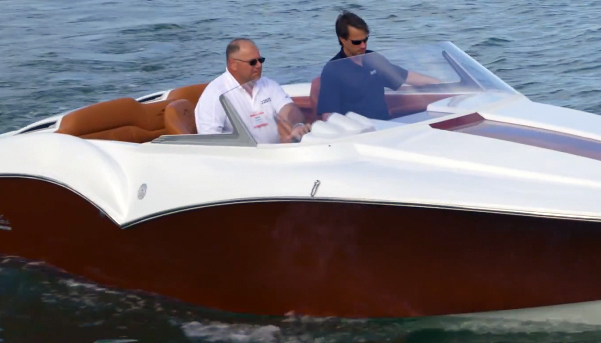 Just take a look at the Catalina 26, the Catalina 29, and the 34-foot Catalina model. You’ll see impeccably built boats with lots of luxury and just the right amount of angling accoutrements, in all of these models. Their design ethos favors openness, however, and that means they have a bend toward coastal and inshore jaunts, rather than heading farther offshore or running in snotty weather. But the builder’s brand-new Catalina 30 Pilothouse model is different. This beefier model protects its occupants behind a virtual cathedral of protective glass and a hefty console unit. 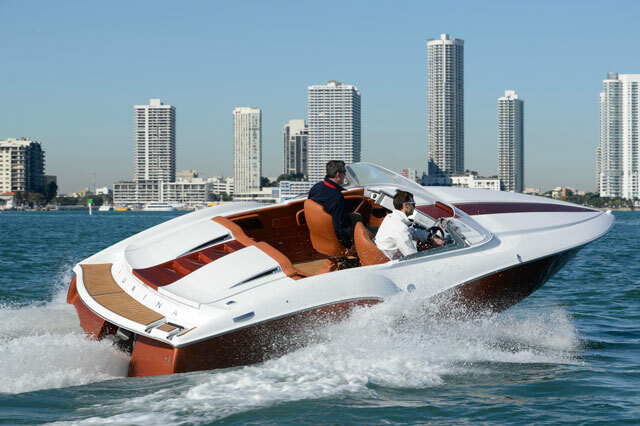 We spent some time with the new model at its Miami International Boat Show launch in February. 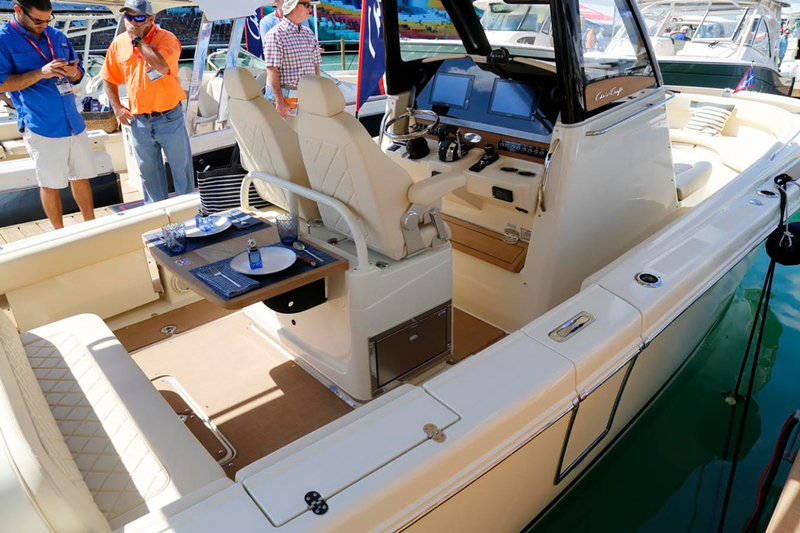 Despite the name the 30 Pilothouse does not have what we commonly would call a true “pilothouse,” but is a center console with more extensive protection than Catalina models have traditionally provided. The theme that leapt out at us when we first saw the boat in the water was luxury. Diamond-stitched vinyl upholstery that looks and feels like leather is broken purposefully by beautifully crafted pieces of teak trim and components. A partial teak toe-rail helps demarcate the bow’s graceful curviness, while teak decking adds to the Catalina 30 Pilothouse’s rich look on the bow deck and swim platform. The helm’s foot rest, the aft cockpit dining table, and even the pilothouse trim is crafted from solid hunks of teak. Long story short, this is one sweet-looking ride. Chris-Craft has paid a lot of attention to making the Catalina 30 Pilothouse an immensely capable entertaining and relaxation platform. Up forward is the fairly typical U-shaped bow lounge setup, but it’s the massive, two-person, forward-facing chaise lounge ahead of the center console that’s the best seat in the house. It’s as big as a full-size berth. 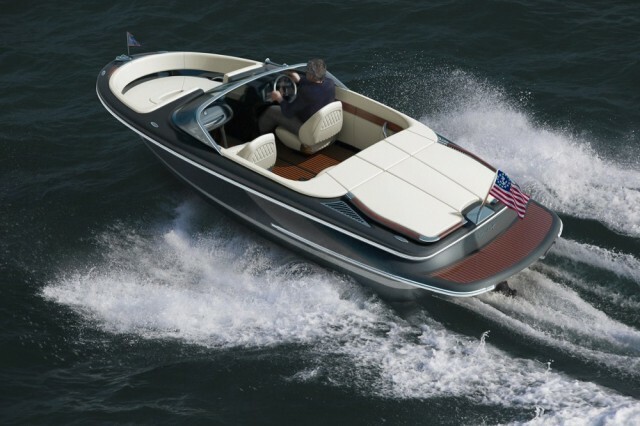 Vinyl-clad foam bolstering around the bow area gives it a safe, secure, and luxurious feeling. All the way aft, behind the twin helm bucket seats, is a highly convertible social area that’s quite unique in the way that it utilizes the space. A large and comfortable flip-out bench pops out of the transom with enough room for three guests. In front of it is a table made from a large slab of teak that flips up from behind the helm seating unit, to form a cozy dining area. Put the bench and the table away and there’s a roomy aft cockpit with plenty of room for fishing. An awning can be deployed electrically from where it hides in the center console hard-top to keep things cool under a hot sun. You can keep your refrigerated snacks and drinks in the pull-out refrigerator under the helm seating. There’s a diver door to starboard that makes boating large fish, getting in the water, or hopping aboard easy. The helm area is a place of refuge, well-enclosed and protected from sun and spray by an expansive hard top and panels of tempered glass—hence the “Pilothouse” moniker, the absence of a full enclosure notwithstanding. There’s a glass-style dash with twin 12-inch Garmin GPSmap XSV multi-function displays. Neatly lined up beneath the two displays is a row of lighted control switches set in a block of gorgeous teak trim. 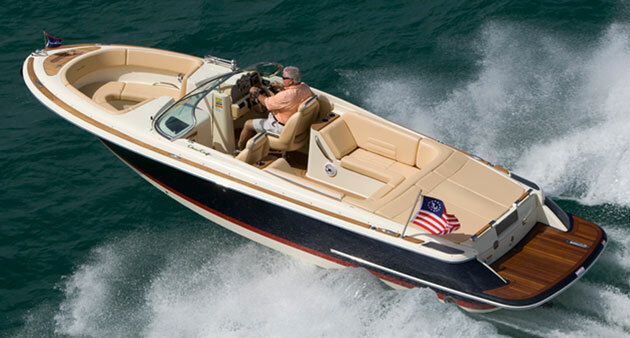 Other components, such as the Mercury Joystick Piloting controller, Lenco trim tabs, Fusion stereo, and autopilot controls, are neatly laid out and within easy reach. The helm seats on the Catalina 30—two bucket-style chairs with flip-up bolsters—are among the most comfortable we’ve ever parked our back ends in. Just ahead of the helm is one of the nicest under-console cabin/heads you’re going to find on a center console this size. It’s accessed via a hinged door and trimmed elegantly in light woods, chrome fixtures, and plush bedding. While you’re not going to find fishy features such as outriggers, live wells, a rigging station, or huge fish lockers on the Catalina 30 Pilothouse, there are a handful of rod holders scattered around and there’s plenty of room for moving around and playing fish. The forward bow lounge cushions can be removed and the area can serve as a casting platform, though some anglers would judge it too small to be useful. Still, if you’re planning on simply casting lures or dropping bottom rigs as a casual angler, the Catalina 30 Pilothouse will perform just fine in this respect. We didn’t have a chance to run the Catalina 30 Pilothouse—it was trapped within the confines of the show—but we do know that it’s designed to be equipped with up to twin 350-horsepower outboards. Outfitting the boat this way, say with twin 350-horespower Mercury Verados, we’re expecting some thrilling performance. Also, given our experience with Chris-Craft’s other Catalina models, we expect the Catalina 30 Pilothouse’s hull to be well-behaved and dry with flattering ride characteristics in a choppy sea. 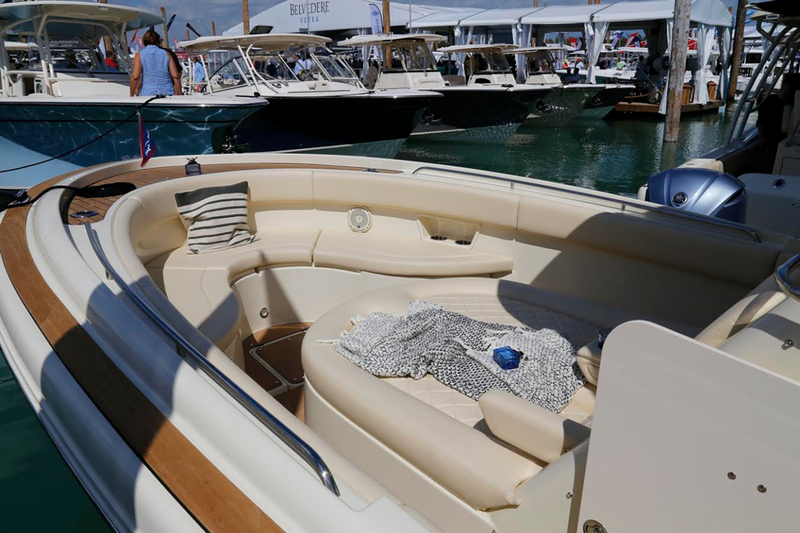 It’d be difficult to point out a more luxurious and comfortable center console boat in this size range—we think Chris-Craft’s pretty much nailed that theme with the Catalina 30 Pilothouse. And, if you’re interested in venturing farther offshore, this boat’s got the hull to run there and a beefy center console unit to keep you dry and secure in the process. 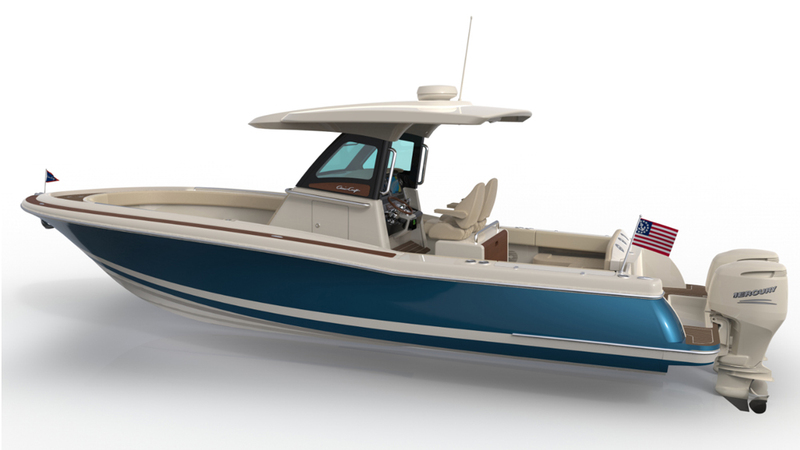 Other Choices: If you’re on the lookout for a luxurious center console boat in the 30-foot range, also consider the Pursuit S 328 Sport, the Robalo R300, or the Everglades 325 cc.